It has been suggested to me that perhaps you, or your children or grandchildren, as well as even a few strangers looking randomly through web sites might enjoy reading some of the stories that my father, Lt. Gen. Jim Gavin, told me about growing up in Mt. Carmel, PA, and of his life after Mt. Carmel, in the Army. He was a charismatic individual who attracted and related to an amazing variety of people. He certainly loved his family, but I believe his greatest love was for his paratrooper “sons” of the 505th RCT and the 82nd Airborne Division. The visitors from New York left Mt. Carmel, and my dad continued working and wondering about the world outside. He sold shoes and gasoline, but was most successful organizing the newsboys of Mt. Carmel into sales territories run by Jim Gavin. In March of 1924, just after his seventeenth birthday, he decided to run away to New York where he hoped he might find a job and a new life. After a few days in the city, he went into a recruiting station manned by a resourceful Sergeant who persuaded him that the Army was the life for him and provided a surrogate father to certify that he was eighteen. He joined the Army and was sent to Panama, where another Sergeant (I have always thought that Sergeants make the Army go round) noticed the young private who could write and enjoyed reading. He persuaded my dad to apply for the tests that could lead to a place at a prep school that would prepare him to take the tests for an appointment to West Point. Through long days of studying, he managed to win an appointment to the Military Academy. I think it is indicative of his character that he was selected to be the honor representative for his company during all four years at West Point. He boxed, taught Sunday school and was a rifle and pistol marksman. The days weren’t long enough for all of the catching up he had to do. He told me that he had to study at night in the latrines, the only place that was lighted after “Lights out”. One day when I was in high school, I opened his old chemistry text book looking for help. Out fell some pieces of toilet paper with formulas written on them. I had to smile and work a bit harder myself. He married my mother the summer after his graduation, in 1929. They had met two years earlier on a blind date. They went to his first post in San Antonio, TX, where he hoped to learn to fly and become a member of the Air Corps. That fall he was turned away by his instructors in one of the few rejections in his life. It was not a subject that he talked about other than saying that they had chosen not to take West Pointers into the Air Corps that year. He was sent to Camp Harry J. Jones in Arizona, on the Mexican border, where he was given command of black troops who responded to the young Lieutenant, and made him proud by winning the post basketball championship under his coaching. While he was in Arizona he met a young man named Barry Goldwater, who became a regular tennis partner and lifelong friend. When he decided to run for President, Sen. Goldwater sent position papers to my dad for his comments. In the late 80’s, West Point gave its prestigious Sylvanus Thayer award to Sen. Goldwater and asked my Dad to make the presentation. It was the last time they saw each other. That evening we ate in the cadet dining hall with the cadets. One of our table mates was a young black cadet wearing paratrooper wings she had earned the previous summer. We were in awe of her accomplishments. From Arizona my dad was sent to Ft. Benning and the Infantry School, then to Ft. Sill, OK. My mother became pregnant with me at Ft. Sill and decided to return to her family in Washington, DC for my birth. My grandparents drove us back to Oklahoma in January of 1934, where we lived until 1936. In the fall of 1936 we boarded the USS Grant in New York, sailed south, then through the Panama Canal and north to San Francisco. The ship stopped in San Francisco to load supplies, then embarked for Hawaii and the Philippine Islands. I have great old home movies of the Golden Gate Bridge under construction as we passed under it on our way. 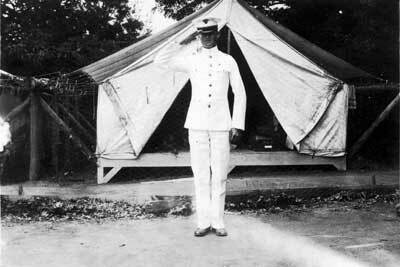 The end of April 1940, he received his orders to West Point. He wrote about his new assignment, “Everyone has been very nice about the detail, of course, a number accusing me of using various forms of influence. It is choice and I am fortunate to get it…..My greatest fear is that we will enter the war and I will be stuck there.” When we arrived in July, his classmate, Tony Costello, had drawn housing for us, and we moved into large colonel’s quarters. After eleven years as a lieutenant, my dad was now a captain. Soon a colonel arrived who wanted our house, so we moved, and moved, living in four different sets of quarters during our year at West Point. While we were in the Philippines, my dad had formed a friendship with Col. Bill Ryder that would last as long as they lived. 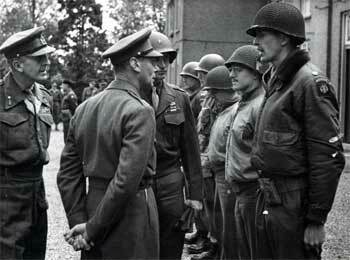 Col. Ryder had formed the first paratrooper Test Platoon, developing a unique way of going to war that required the best and the bravest young men for training. This was just the kind of new idea that my dad found exciting and wanted to be part of. He asked to be allowed to leave West Point and move to Ft. Benning for parachute training. The answer was a quick and firm, “No.” He called upon every friend who might influence the Army to transfer him and made many trips to the Pentagon. Finally, in July 1940, we moved to Barracks 23, Ft. Benning, GA. I remember his parachute training as being exciting and physically demanding, but he assured me that his new sport was “perfectly safe if you know what you’re doing”. He was assigned to the job of Battalion executive officer of the 503rd Parachute Battalion and made a Major the end of 1941. 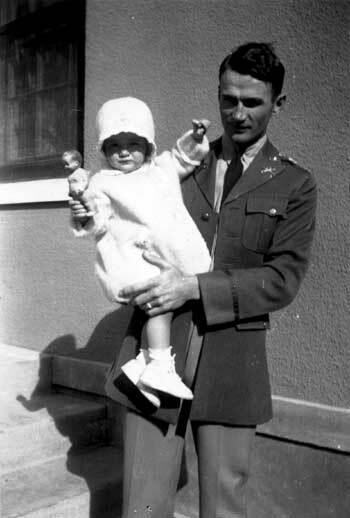 In February 1942, he was sent to the Command and General Staff School at Ft. Leavenworth, Kansas, and in March he was promoted to Lt. Colonel. 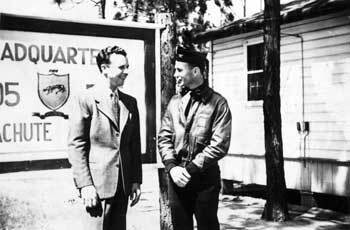 In July 1942 the 505th Parachute Regiment was activated as part of the 82nd Airborne Division. My dad was formally given command of the regiment in August and made a Colonel. He knew that he wanted superb physical conditioning and great esprit de corps in his officers and soldiers. Good training would instill in the men the toughness, pride and confidence that they would need jumping into the darkness of the island of Sicily. The 505 was singled out by Gen. Matthew Ridgway to lead the American Army on this first invasion of the continent of Europe. Even before activation, in February 1942 the 505 was reviewed by Gen. Ridgway. 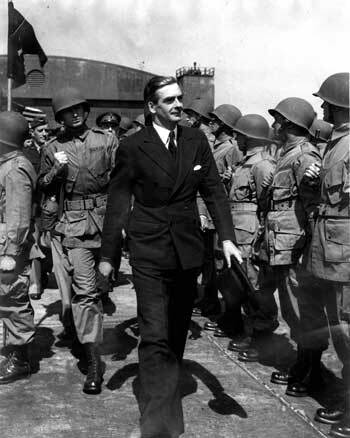 They passed muster with flying colors, and in March, they were reviewed by Gen. George Marshall and Sir Anthony Eden, Foreign Minister of Great Britain. King George of England Awards Medals to the regimental commanders of the 82nd, from left to right Col. March of the Field Artillery, Col. Lindquist of the 508, Col. Tucker of the 504, Col. Ekman of the 505 and Col. Billingslea of the 325. By the beginning of February 1945, the 505 had penetrated the Siegfried line. They were withdrawn to Theux and other small Belgian towns where the local families took them into their homes for a bit of R & R before the next battle. The families who shared their small supplies with the young paratroopers, were rewarded with chocolate, chewing gum and cigarettes that were part of the G.I.’s field rations. As the paratroopers left, the Belgians gave them the white sheets from their beds to be used over their jump suits as camouflage in the snow that covered everything that winter. On May 8th, the war in Europe was declared ended with the surrender of Germany. Troopers were counting “points”, hoping for the 85 required to be sent home. The 505 was breaking up. He wrote, “I was just interrupted by a soldier who goes home tomorrow. He landed at Casablanca with me, jumped with me in Sicily and Salerno, was with me when I captured Naples with the 505, jumped with me in Normandy and Holland and fought all through the Ardennes, Belgium, and into Germany until we met the Russians. He feels badly about going but it is the thing for a man to do who is to be released. I am going to talk to a large group of them in the morning, our oldest and most decorated veterans, it will be a tear jerker and I would almost as soon skip it." Finally, on November 11th, returning to Berlin from a trip to England, fog prevented the plane from landing in Berlin, so they continued on to land in Austria. He called headquarters, “and they told me that the division had just been notified that it had been changed to category II which means that it will not be disbanded but will remain in the post war army. It is wonderful.” The 82nd’s last battle of World War II was won. The 505 returned, via Camp Oklahoma City at Rheims, France to Southampton, England. They boarded the HMS Queen Mary for the trip home to the United States, arriving at New York on January 3, 1946. My dad flew on ahead to prepare for the victory parade. My last WWII communications from him are telegrams sent to my mother and me on December 20th saying, “Will arrive Washington December 21 about”. Then a few hours later, “Flight delayed will arrive in afternoon flight number A sixteen.” He arrived home safely, after almost three years away. We went home and decorated the Christmas tree. Life was normal and wonderful again.